Nextiva has many options available so you can control what people see when you call out to them. There are options available for customizing Caller ID, including blocking your calling name (what name shows on outbound calls) or blocking your number entirely for outbound calls. 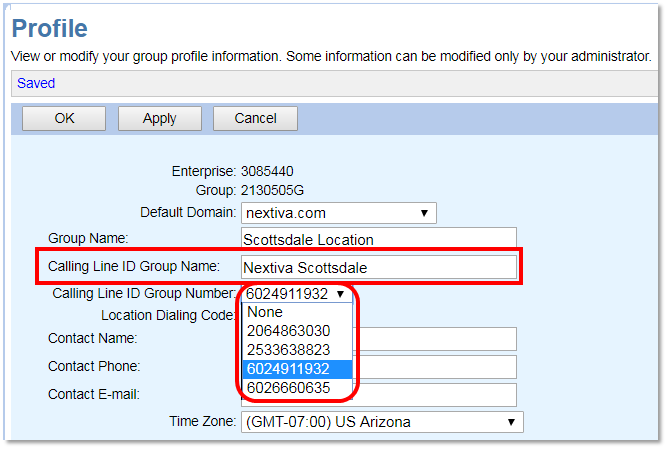 By default, any User who does not have a direct phone number assigned to them will display the Group level phone number. This is convenient when Users call out from your business in that they will all show the main business number, or any number selected. If you have entered the correct calling name but you aren’t showing the correct information on outbound calls, we may need to request this update at the carrier level. To request this, please click here. As an Administrator, you can access NextOS by going to www.nextiva.com and selecting Login at the top of the screen. Alternatively, click here. From the main dashboard, hover-over Advanced Routing and select Call Center Locations (Figure 1-1). 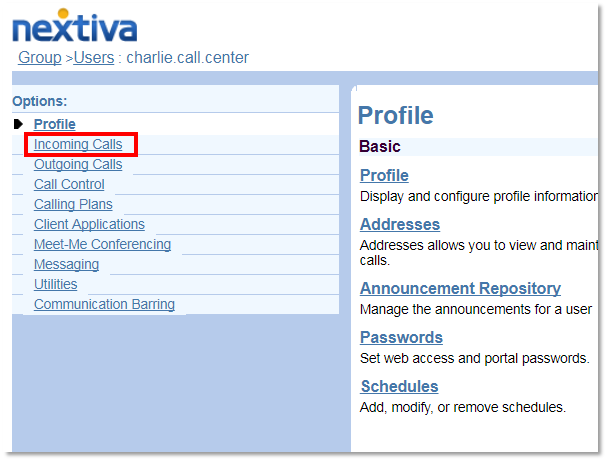 Once in Call Center Locations, click the Log In button to navigate to the Configuration Portal (Figure 1-2). 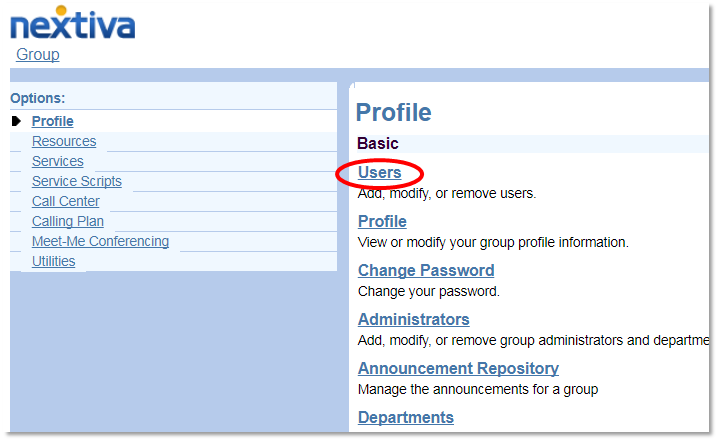 Once the Configuration Portal launches in a new tab for convenience, you will be at the Group level. Select Profile at the top of the screen to edit the phone number and Calling Line ID First and Last Name for the Group (Figure 1-3). Enter the desired information into the Calling Line ID Group Name and select a Calling Line ID Group Number (usually the business’s main telephone number) (Figure 1-4). Click OK or Apply to save the Group Level changes. 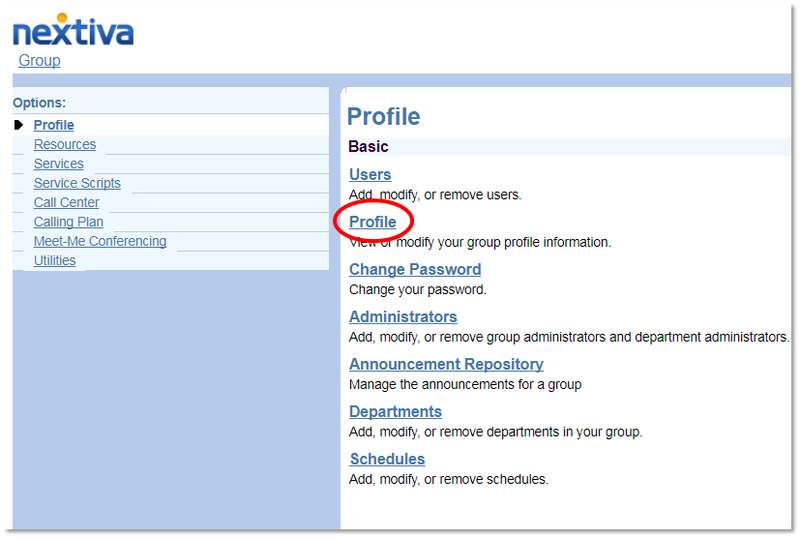 From the Profile screen at the Group level, select the Users option (Figure 2-1). Click the Search button to the right of the screen to see a list of Users in the Group. 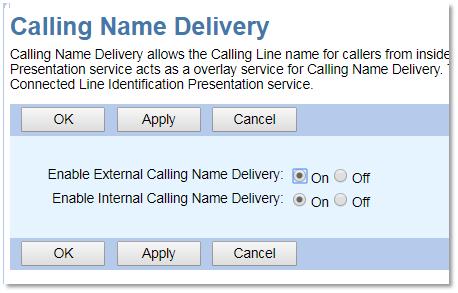 Select the User ID of the User (or the Edit link) to edit their Calling Name and Number (Figure 2-2). 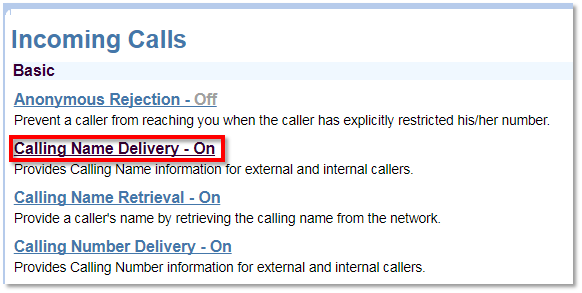 Select Incoming Calls under the Options column on the left side of the page (Figure 2-3). Select Calling Name Delivery (Figure 2-4). You can enable or disable both the External Calling Name Delivery (outgoing calls outside of your Group) and the Internal Calling Name Delivery (calls inside your Group and organization). Click OK or Apply to save these changes (Figure 2-5). 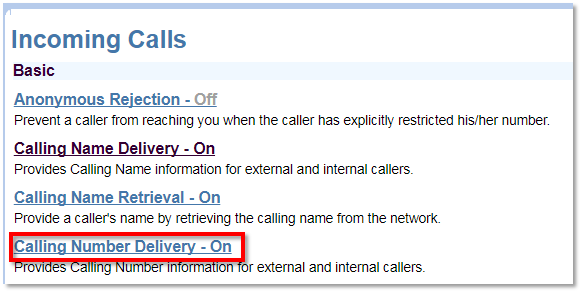 After saving the previous changes, you can select Calling Number Delivery (Figure 2-6). The settings are the same as the Calling Name Delivery options.